Katie lost one of her three loose teeth. It is somewhere in the family room. We ahve no idea. She will resent me later on because of this And when it backfires? 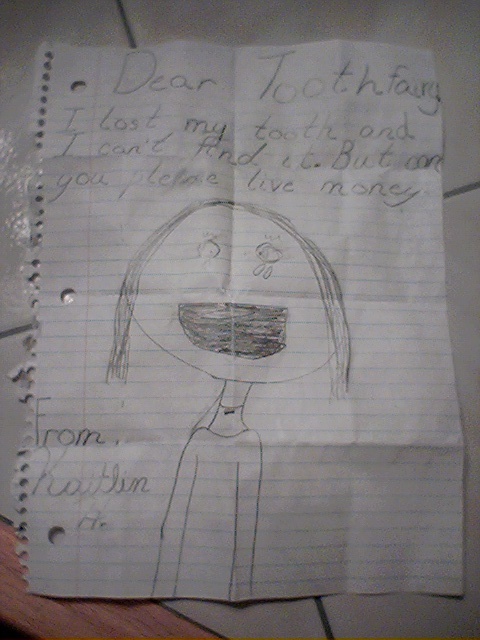 My guess is that she can’t find the tooth because the tooth fairy already found it.